Last week, we visited beautiful Amsterdam for the opening of IWC Schaffhausen's first-ever monobrand boutique in the renowned P.C. Hooftstraat, or short PC. The boutique was officially opened by dutch IWC ambassador Humberto Tan, Regional Director IWC Benelux & Scandinavia Robert Pennartz and Global Creative Director Christian Knoop. 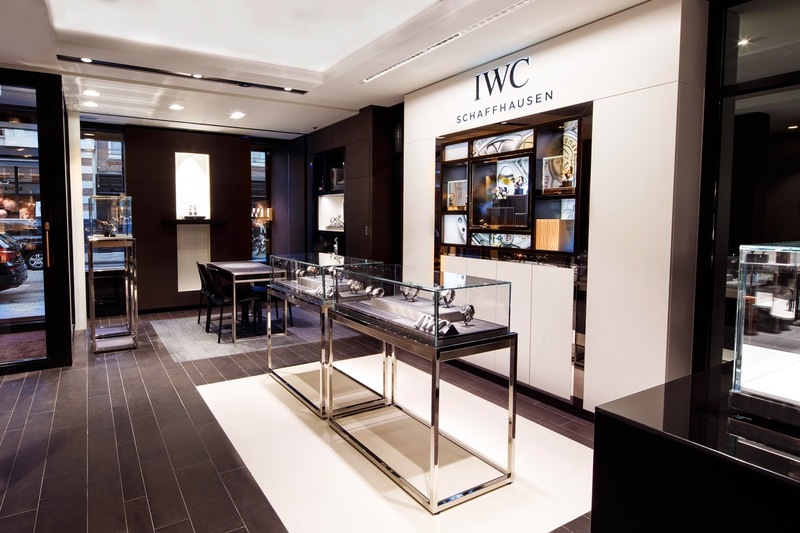 Robert Pennartz said: "Selecting PC Hooftstraat in Amsterdam as a location for our first IWC boutique in the Netherlands was a logical decision. There are a large number of leading luxury brands already established on this luxury shopping street. In addition, the nearby museums attract many tourists, who also make use of this culturally appealing area for shopping. With IWC's strong position in the Dutch market, we are proud to open our first boutique at this prestigious address." IWC Schaffhausen's in-house architects did an excellent job creating the exclusive and contemporary design of this boutique. Featuring dark wood, leather and chrome, the interior is sleek, masculine and has a warm club-like atmosphere. On the first floor you will find a comfortable VIP lounge with a library and a fireplace offering the perfect setting for contemplation of IWC's superb timepieces. 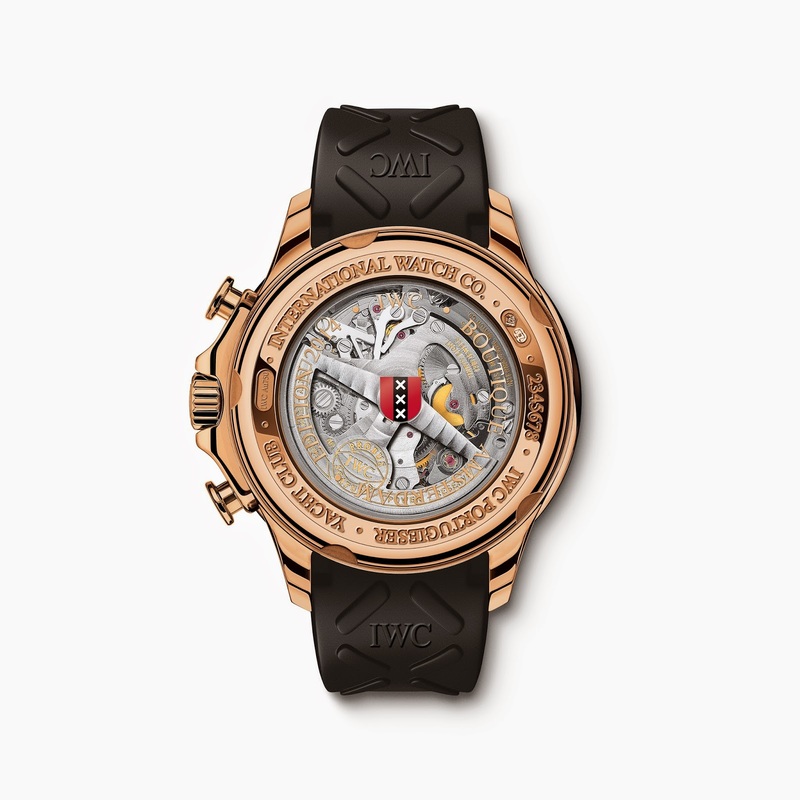 To celebrate the new boutique, IWC Schaffhausen has released a stunning special-edition watch - the Portuguese Yacht Club "Amsterdam 2014" (Ref. IW390209). The case back bears the well-known three white crosses found on the coat of arms of the city of Amsterdam. Sold exclusively at the IWC boutique in Amsterdam, this sporty watch is limited to only five pieces of which two are already sold! Specs of the Portuguese Yacht Club watch can be found here.